"Daddy will make you lots of dollars!" 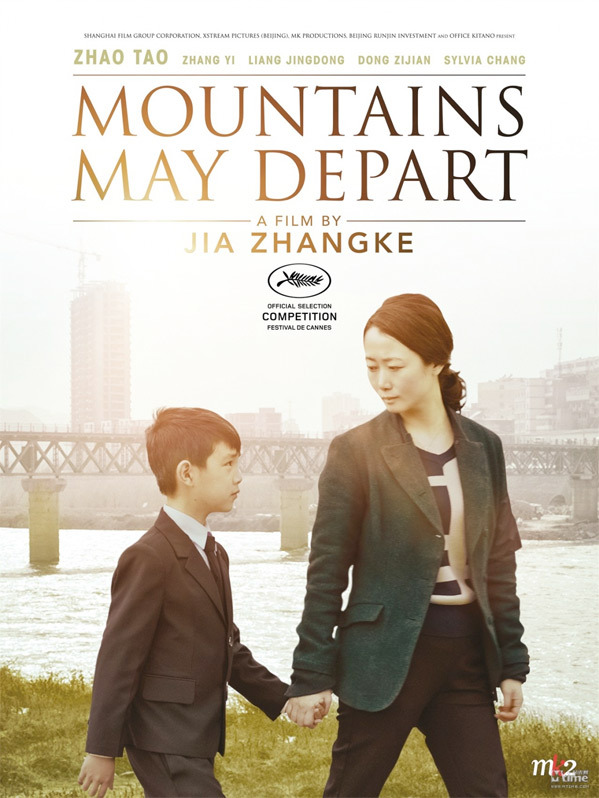 Kino Lorber has debuted a new official US trailer for veteran Chinese filmmaker Jia Zhangke's latest film, titled Mountains May Depart. This film premiered at Cannes in May and played at a bunch of prestigious festivals through the year. I saw it at the New York Film Festival and was taken back by it, still impacted by the audacity of the story. Set in China and Australia, the film is a tryptich that follows a few people across three different periods of time - showing how China has devolved into a culture of materialism and how this will affect relationships and human connection in the long run. It stars Zhao Tao, Zhang Yi & Liang Jingdong. Anyone in search of bold storytelling should take a look at this. At once an intimate drama and a decades-spanning epic that leaps from the recent past to the present to the speculative near-future, Jia's new film is an intensely moving study of how China's economic boom — and the culture of materialism it has spawned — has affected the bonds of family, tradition, and love. Shooting each of the film's three time periods in a different aspect ratio — with the square Academy frame gradually expanding to widescreen — Jia creates a prescient chronicle of his country's path to the future. Lyrical, moving, and dazzlingly ambitious, Mountains May Depart is one of the year's most important films. The film is written & directed by Chinese filmmaker Jia Zhangke, of the films Xiao Wu, Platform, Unknown Pleasures, Still Life, 24 City, and A Touch of Sin previously. This film played at Cannes, TIFF & NYFF in 2015 and opens in US theaters starting February 12th, 2016 next year. Info at KinoLorber.com. Also, National Pride is a huge-huge thing in East Asia. They eat up anything dealing with historical victories. But I do agree with your general sentiment, that they should promote more artistic ventures. I guess we can look to Hong Kong for that... T_T. I still love me a good kung-fu film. IP MAN 3~~. I agree and understand (Grandmasters was nice). But man, can we have finally something else? Please! Heavy material. It looks great actually. Too many people have the wrong idea when it comes to Mandarin pronunciation, thinking that it sounds "weird" or whatever, but really when it is correctly spoken it sounds quite nice.